The Everyday Man’s Sports Blog has been my gift to the writing world ever since it started back in July of 2010. I started as an inexperienced writer that was trying to get a voice out to everyone. And you better believe that I had no idea what my writing would turn into. But over time and practice, the writing has gotten stronger and the dynamic has been crafted through my work. And with that dynamic growing and the writing becoming stronger, I created a following of people that either liked what I was writing about or gave stiff opposition. Either way, people were starting to tune in. And as people were starting to tune in, there were people on different levels that were paying attention as well. Over my time writing on The Everyday Man’s Sports Blog, I have had the opportunity to interview people and write for people as well. People like ESPN Radio’s Freddie Coleman and Warren Moon have been gracious enough to allow me to interview them. And I also had the opportunity to write for Free (106 And Park fame) and having the opportunity to write for City Sports Report and my writing friend Derrel Johnson. And with Derrel, I was afforded the opportunity to cover the Christmas Day Knicks game versus the Washington Wizards in 2014. I remember covering that game and being able to go into the locker rooms and see the reactions and the way everyone conducted interviews around us. I also remember having the opportunity to see how things are done on the big stage of media. These experiences have proven to be invaluable to me as I have grown as a writer and expanded my media presence. I have thoroughly enjoyed running The Everyday Man’s Sports Blog over the 5 and a half years it has been up. But the time has come for change to happen. And that change is The Everyday Man’s Sports Blog coming to an end. I have enjoyed all of you that have visited, commented and shared my work in the many places that it has popped up. But I just feel that it is time for this site to come to an end. But never fear, I could pop up again when you least expect it. Maybe in another form or fashion. But as of right now, this is the last time this guy will appear here on this site. The run is over for this one. Time to move on to the next phase. Turn off the lights. The party is over. 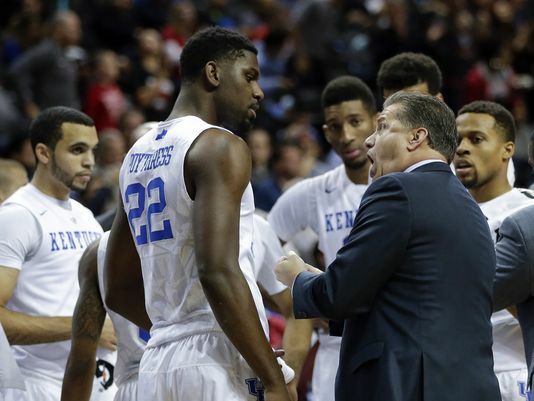 The Kentucky Wildcats came into this season having to replace a lot of talent. Seven players chose to leave school early and enter the NBA Draft, including #1 overall pick Karl-Anthony Towns. And with those seven leaving, there were plenty of spaces available. With that being said, Kentucky again had the #1 recruiting class in the nation and they were expected to roll again this year. The season started with being led by point guard Tyler Ulis and guard Jamal Murray, as they went 7-0 out of the gate. But when the Wildcats lost to the UCLA Bruins, the chinks in the armor started to show. The Wildcats would go on to lose three more times in the last nine games and there has to be some concern there. As time goes by, if they don’t get it together, they could be following the steps of the Kentucky team led by Archie Goodwin back and Nerlens Noel back in the 2012-2013 season. That team had a bunch of hype behind them and then ended up floundering in the first round of the NIT. And to boot, Noel tore his ACL chasing down a Florida player and trying to block his shot. This team was not as disjointed as that team was, but it seems they have not got it going and on the same page as of yet. So what needs to happen for this team to get it together? Under Calipari, Kentucky has always had that one big man that could put the ball in the basket. His first one he got at Kentucky was DeMarcus Cousins. 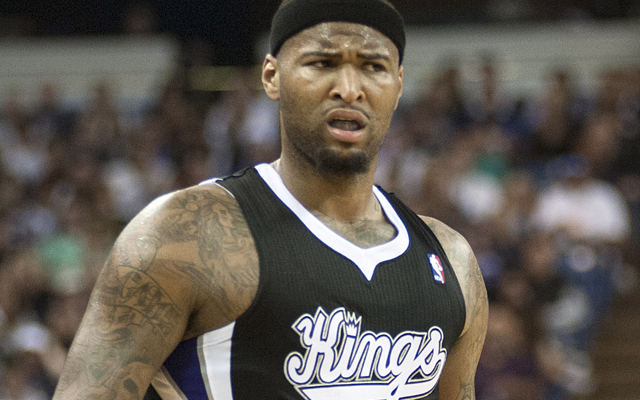 And after that there have been guys like Anthony Davis, Terrence Jones, Julius Randle and Karl-Anthony Towns. Along with the guard play that we have come to expect, we always look for the next big man Kentucky would produce that would get it done in the paint. Coming into this season, that guy was supposed to be freshman Skal Labissiere. He was the #1 big man in the 2015 recruiting class and he was multitalented. He was a 6’10” big man with a skill set that was more of a faceup post guy. His style, unfortunately, has not translated to the college level. He has not been as strong as many thought he was going to be and is only averaging 7.7 points while losing his starting job to senior Alex Poythress. Speaking of Poythress, he is a 6’8” small forward with incredible explosion to the rim. But he has been very inconsistent, just like his career has been to date. And if you take a look at Kentucky’s other big man, Marcus Lee, he is a guy that can finish at the rim but cannot create his own offense. For the Wildcats to go any further, they will need one of these three to step up and step up consistently. One other option to bring in up front is Derek Willis. The 6’9” junior from Kentucky can shoot the basketball, but he is not a guy that can give them much in the post. But even with that, his shooting touch would help spread the floor for the guards of Kentucky to attack. Defensively, the Wildcats have been solid at times on the perimeter. The defense has caused havoc, led by guard Tyler Ulis. But when the shot goes up, that is when the adventure begins. Kentucky has usually been a team that boxes out and outrebounds teams. And at the beginning of the year, Coach Calipari alluded to this team needing to get better in that area. Well, it seems like they have not been getting the message. Even with the veteran players in Poythress and Lee, the Wildcats are giving up second-chance points. And when that happens, Kentucky is giving up an offensive rebound and more than likely two points. Those extra points have not hurt them a lot this season, but those extra points could hurt them at the wrong time. The one thing the Wildcats could do to alleviate some of the rebounding issues is team rebounding. What that means is instead of guards sitting around watching the big men rebound, they need to help them out and get down there to fight with them. If they are able to do that, there is some stress taken off the big men of Kentucky. It may take them out of the fastbreak a little bit, but it will be worth it if they are not giving up second and third shots. Rebounding and scoring from their big men is a huge thing, but what is even bigger is leadership. Who was the voice of the team was never a question for the Wildcats in 2014-2015. Last year, there was leadership and focus for numerous people. And because of that leadership, it helped Kentucky have the type of season they had. With this year’s team, the leader is unquestionably point guard Tyler Ulis. He is definitely the one barking out the signals and making sure things run smoothly. He also is the guy that takes some of the big shots along with guard Jamal Murray. Both he and Murray are also carrying the team offensively, combining for 32 points per game. But for this team to take the next step, he has to ride some of his teammates. A leader is someone that is not always liked by his teammates and Ulis has to learn that. He has to push them to be better and do better. If he is able to strike that chord with them, then that means he is taking ownership of that team. Many teams have a player that steps up and does the things that a coach would do in terms of getting on guys and leading them. Ulis has all the capabilities and has shown he is capable of it, but he has to do it all the time. That is what leaders do. The Wildcats are not doing terrible, but they are not doing as well as Calipari teams usually do. For them to take that step forward and be considered a serious National Title contender, they will need to get better play out of their big men. The Wildcats also have to have leadership take over this team along with the improved post play. Only time will tell what happens, but the Wildcats’ problems will only get worse if they lose Thursday night against Arkansas. Time is of the essence. 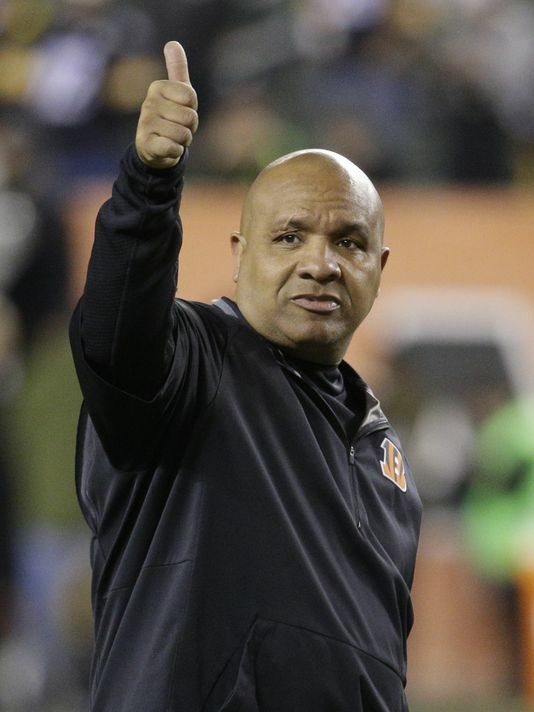 Hue Jackson had a bevy of options to become a head coach this offseason. As soon as the Cincinnati Bengals’ season was over, the interviews started. Up first was the San Francisco 49ers and next were the Cleveland Browns. The Giants were trying to get in on him too as he was one of the hottest commodities out there to be a head coach. But the choice began to get clearer when the second interview was set for Hue with the Cleveland Browns. The Giants, although they tried hard, were not even granted an interview with Jackson in favor of him taking the second interview with Cleveland. And in that second interview, it was apparent that he was the guy they wanted. Hue, for his part, could have played the game a little more and waited to give an answer to all that were interested. But Jackson heard some things he wanted to hear in the meeting with the Browns. And now Jackson will get the opportunity to pick up where he left off in terms of being a head coach. The biggest thing that Cleveland needs is players. The team has had draft pick after draft pick not produce for them. The most recent ones have been picked by former Browns GM Ray Farmer. Needless to say, the Browns have not had much luck developing draft picks. With Jackson, he may not develop them as much, but he will be the guy that has some power over who gets picked up in the draft. Jackson is rumored to have taken this job because of the power over personnel. And with that caveat in addition to being the head coach, it would have been hard for Jackson to refuse. The 49ers or Giants clubs would not even come near giving personnel power to any new head coach. There are some that dislike this deal because it gives a head coach more to worry about: general management. But the difference between Jackson and a guy like Chip Kelly (who was given personnel control in his second season) is that Hue has been in the NFL as a coach while Chip was a college coach trying to adjust. In Cleveland, he essentially will be allowed to make the decisions necessary personnel-wise. And if he is successful at doing so, then he will end up bring back Cleveland in football. One of the first personnel decisions Jackson will have to make is on his quarterback position. Quarterback Johnny Manziel was drafted two years ago along with CB Justin Gilbert. The belief there in Cleveland is that Manziel would end up being the starting quarterback for this team. Well, things have not worked out that well when it comes to Johnny. The youngster has been on television for all things but playing quarterback. One of the conditions that helped Hue Jackson agree to being the head coach in Cleveland was to move on from Johnny Manziel. He has had enough of him after viewing him from afar and the time has come to turn the page. Hue could go one of three ways to get a quarterback. He could go get a quarterback with the 2nd pick in the NFL Draft (presumed to be California quarterback Jared Goff). Hue could also let Josh McCown come back healthy so he could back up the rookie. Another option is trading for a young quarterback in a backup situation, like Zach Mettenberger for example. Either situation would probably give them some sense of being steady at a position of need. The Cleveland Browns got one of the best head coaching candidates out there in Hue Jackson. No one thought this would happen but it did. And now we have a team fighting for relevance and getting that elusive head coach that many wanted but could not have. We shall see if this move makes the Browns better or worse. 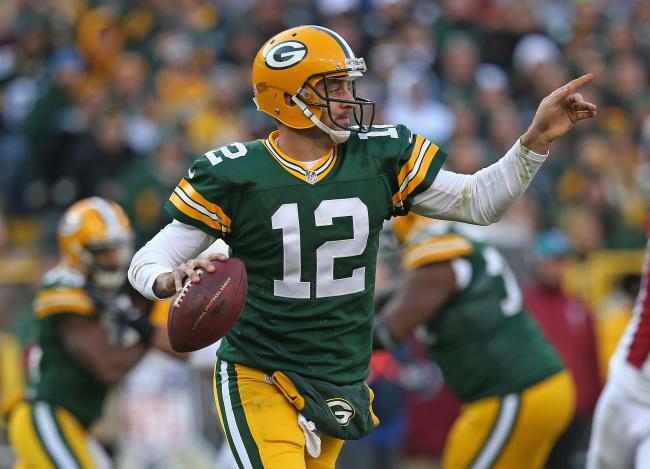 Are The Green Bay Packers Getting It Going At The Right Time? The Green Bay Packers and the Washington Redskins were going in opposite directions going into the playoffs. The Packers entered the playoffs on a two-game losing streak. They had been embarrassed on national television against the Arizona Cardinals in Week 16 38-8. And in the season finale going for the division crown, the Packers lost to the Vikings at home 20-13. The feeling around the Packers were that they had some issues on both sides of the football. Defensively, the Packers were solid up front. But in their secondary, there were some things going on there that were not conducive to good defense. Who can forget how the Cardinals had some fun at their expense in Week 16? But not to be left out, the offense definitely had their share of issues. The running game has been inconsistent all season long for the Packers offense and Eddie Lacy had not been himself. The wide receivers had not been able to get separation so Rodgers could throw them the ball. And the offensive line has been depleted all year. The feeling some in media had was that the hot team, the Washington Redskins, were better than the Packers at this point in the season. And if they were able to come out and jump on the Packers, then the Redskins would be marching on to the next game. But little did we know, the real Packers would come to play. The Redskins came out and shook up Green Bay at first. The Redskins sacked Rogers in the endzone making it 2-0. And the Redskins took the next possession and drove it all the way down into Packers territory. From there, the Redskins squandered an opportunity while the Packers stood up. The Redskins thought they had scored when DeSean Jackson ran a dig across the field and got free. It appeared Jackson beat the defender to the pylon, but unfortunately Jackson did not stick the ball inside the pylon. That nullified the touchdown and put the ball at one-yard line. From there, the Packers defense made a stand. They stuffed the Redskins three straight times to force a field goal. The result of doing that missed opportunity was the potential four points that was left out there. The Packers had not shown that type of resolve in a few weeks and when put in a tough situation, they responded to the adversity instead of crumbling under the pressure. And as far as the running game, the Redskins had only 84 total rushing yards. That is outstanding rush defense. But this was not all the Packers defense did. The aforementioned DeSean Jackson is an electrifying player. He can score from any angle on the field and make it look real nice while it’s happening. Against the Packers, it seemed the defense was clued into him and his abilities. And even though tight end Jordan Reed had a great day(9 receptions for 120 yards and 1 touchdown), the Packers were able to hold Jackson to just two receptions for 17 yards, with his longest being that reception that he should have scored on. The Packers communicated with each other and in doing so, helped each other do their jobs and keep Jackson in check. He did test them a few times down the field, but Green Bay was right there to swat the ball away. The young defensive backs of the Green Bay Packers (Quinten Rollins, Damarious Randle) handled the pressure of keeping up with Jackson and the Redskins passing attack quite well. And as a whole, the defense held the duo of Pierre Garcon and DeSean Jackson to under 100 yards total. That kind of defense, along with them putting heat on Cousins all game, will make any offense uncomfortable. The defense played well, but the offense turned a corner on Sunday. It looked like the fun was out of the game in the last few weeks for quarterback Aaron Rodgers. He was visibly frustrated at what was going on. He started off rough, but he soon found his rhythm. He would end up getting it going in the passing game to Randall Cobb, James Jones and Davante Adams. The one that got him even more pumped up was the score before halftime. The defense had held the Redskins before the two-minute warning and got the ball back to the offense. And the Packers took it 60 yards for the score before halftime. That throw and that drive let people know that Rodgers was really feeling good and the confidence the offense was missing had started to reappear. Rodgers would only throw for 210 yards, but he was solid and looked like he was at the beginning of the year. And as far as the offensive line, they held up admirably after giving up the sack for a safety early in the game. The passing game looked good, but the element of the run was a welcomed addition to this game. All season there has been no consistency there. When Lacy and James Starks were present, the team and the offense looked better and was able to win. When Lacy and Starks were not running the ball well, the Packers faced even more challenges to their offense. Sunday, the Packers’ running backs came out and ran the ball hard and tough. Eddie Lacy ran for 63 yards on 12 carries and a touchdown, including a crucial 30 yard run in the second half. 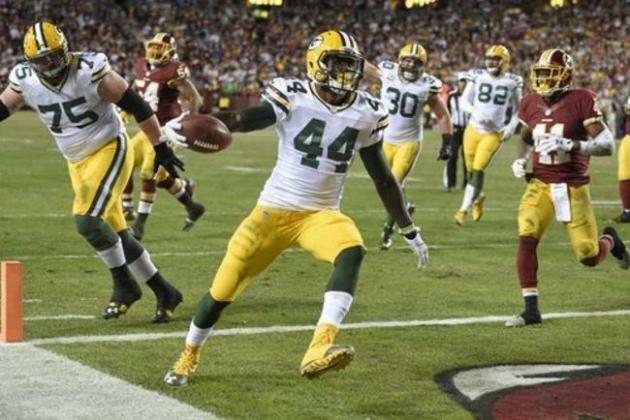 And as for James Starks, he ran for 53 yards and a touchdown on 12 carries. When these two are running the football with conviction and toughness, the Packers are a tough team to beat. And with the holes the Packers offensive line was opening, it was definitely a sight for sore eyes to see that size of a hole. But what made their performances even better is they did not have to have the big holes to make yardage. There were a few times that Starks and Lacy had to duck their heads and get what they could get. And both realized that and did what they had to do. Eventually, they helped tire out the defense and make Aaron Rodgers even more lethal. When a passer like Rodgers gets a running game, it can keep the defenses guessing all game long. And that is something you don’t want with Rodgers at the helm. Overall, the Packers looked like a much different team than they did the last few weeks of the year. And because of the polish they showed, they looked like the team that everyone thought they would be all season long. After this 35-18 win, the Packers head back to the desert to play the Arizona Cardinals next weekend. It will be interesting if they can carry the momentum from this win to next week or if it was just a win against the winner of a pretty bad division. The relocation of teams to Los Angeles has been talked about for a few years now. Teams that were mentioned over that time have been the Minnesota Vikings, Jacksonville Jaguars, Oakland Raiders, San Diego Chargers and the St. Louis Rams. Well, we knew the Chargers were all but gone from San Diego after this year. But now we have word that three teams have applied to relocate to Los Angeles next season. Those three teams, the St. Louis Rams, San Diego Chargers and Oakland Raiders, have applied to take their franchises to Los Angeles. A stadium is already in the works out in the Los Angeles area and there seems to be excitement in the air about the team being back in the area. There are still Rams fans out there on the West Coast and they play against teams that are on the West coast in the NFC West anyways. And as far as the Raiders and Chargers, they would be going back to where they originally came from (Chargers played in Los Angeles when they were first created in 1960). But even though there may be some that want the NFL in Los Angeles again, this move seems like it is one that is being forced. The NFL is not wanting to bring a team back to Los Angeles because they feel bad for the Rams leaving. They are actually moving a team back there for business purposes. The NFL is all about the almighty dollar. And with them getting back into Los Angeles, it would mean they would not be in two of the biggest television markets out there. Being in a bigger market means that there are more televisions that have NFL games on them. And with the guarantee of having more televisions with football on them, that means more people will see the commercials that air during football. Having a piece of that market means that more sponsors will come to the NFL. And that means more money to flow in the pockets of owners across the league. The NFL just raised the salary cap because of some new deals they made with the folks that broadcast their games. But with this new development, this means that when that deal is up, the money will get even sillier as the NFL will have two major markets with a team. And along with the owners making more money, the salary cap will continue to climb higher and higher. The money part of the scenario is huge for the NFL, but the other part of the scenario is one the NFL may not want to hear. Los Angeles really does not need an NFL team. In case the NFL missed the memo, Los Angeles has had teams come and go over the years. They have either not supported the team during the times in which they lose or refused to help finance a new stadium for them. The Rams originally moved to St. Louis because of waning support and the lack of funds for a new stadium for the team. When a team moves to Los Angeles again, there had better be some success that follows. There will be excitement over a new team just because Los Angeles has not had one for a while. But if one, both or all three of those teams are not any good over time, then the fans will do what happened in the past: find other things to do. Then the new stadium that was built will have been all in vain and the teams that moved there would be ready to move somewhere else yet again and leave the taxpayers holding the bag. This move of a team to Los Angeles may be good for the short-term in regards to money for the league and access to a huge television market. But where it could hurt the NFL is if there is waning interest over time. In that case, the same story would end up playing out like in year’s past. 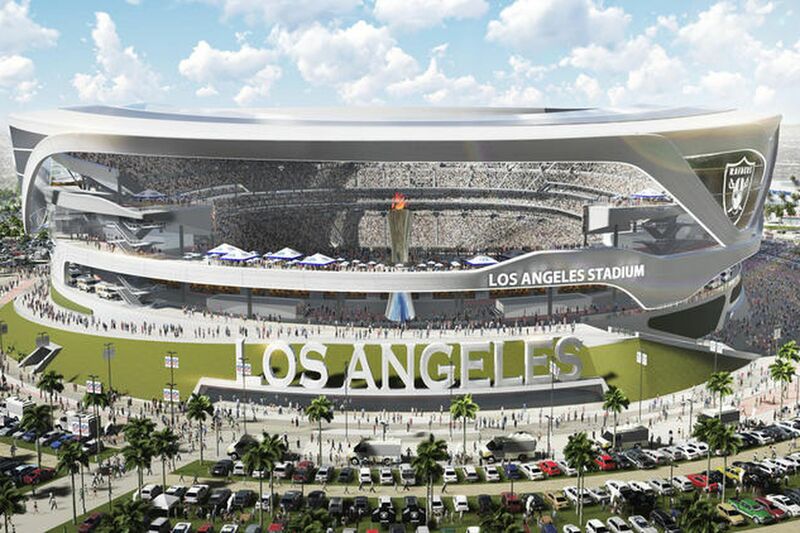 If the NFL was thinking long-term, they would not be moving to Los Angeles again. But because of them wanting to get that extra dollar, they are ignoring the warning signs of moving back to Los Angeles. What makes this one even funnier is all three teams were once there, with two of them relocating because they could not get the new stadium they wanted. Now the reality is two teams will be sharing a stadium in a place that may or may not support them. And these teams will be leaving behind fans that actually cared to watch them play even though they disappointed them time and time again. Good luck to whatever teams end up moving to Los Angeles NFL. You had better hope the team(s) actually is successful this time around. The Pittsburgh Steelers looked like they were going home early after last week’s game versus the Baltimore Ravens. The team looked lifeless, the passing game looked off and the defense was getting burnt by a bunch of backups that the Ravens had on the field. The Jets, meanwhile, were looking good. They beat the New England Patriots at home and only had to beat the Buffalo Bills in Orchard Park to make the playoffs. Meanwhile, the Steelers have the best wide receiving corps in the NFL and were thought to be out of the playoffs. But in one week, the situation for the playoffs changed in the Steelers’ favor. The Jets went to Buffalo to face their old coach, Rex Ryan. And in their effort to play spoiler, the Bills knocked off the Jets 22-17. Meanwhile in Cleveland, the Steelers handled business and knocked off the Browns 28-12 to go into the playoffs. And now a team that many thought were done is back in the playoffs. And just like that, some trepidation just came from teams in the AFC. The Steelers have not played consistently all season. The perfect example is their last two games of the season. They showed up against the Browns today but mailed it in against the Ravens the week before. But what scares many is the weapons that they have. Through good drafting, they have created the best wide receiving corps in the NFL. Their best receiver (and arguably the best receiver in the NFL), Antonio Brown, does a little bit of everything. He may not be the tallest of guys, but he uses his quickness, route-running and smarts to make things happen each and every game. You would think that most teams would put more coverage towards him, but the Steelers have another weapon on the opposite side that craves attention from defenses as well. 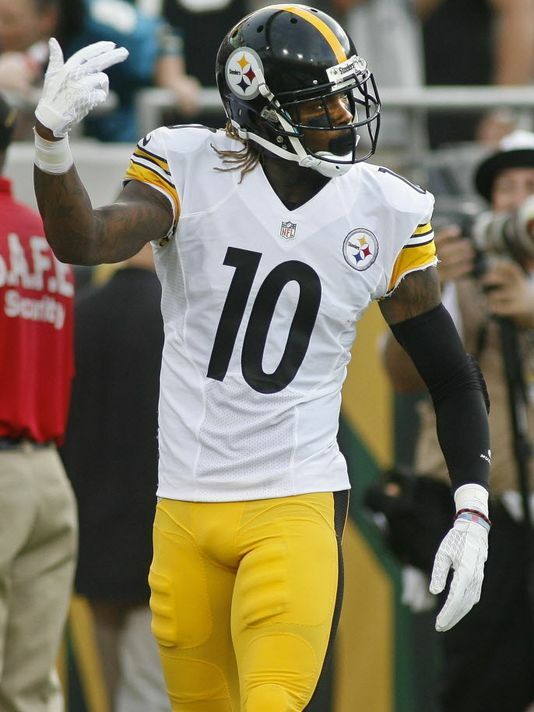 Second-year wide receiver Martavis Bryant has been getting it done ever since he returned from his four-game suspension to start the season. He has over 700 yards receiving in the ten games he played and he also accounted for six touchdowns. He scored his touchdowns in a myriad of different ways just like his counterpart, Antonio Brown. For a guy his size (6’4”) he is very fast and is a homerun threat from any point on the field he catches it. And as we all saw, he took some short passes the distance and he also burned defensive backs on deep patterns. These two are dangerous, but what takes this wide receiver corps to the next level is the development of wide receiver Markus Wheaton. The third-year wide receiver from Oregon State is enjoying his best season as a pro. Wheaton has accumulated almost 700 yards receiving despite having twelve less receptions from last season and he also has doubled his touchdown production (up to four from two touchdowns last season). And like Bryant and Brown, he can take it to the house from any point on the field. Guarding these three can make any defender sweat a little more. And with veteran quarterback Ben Roethlisberger extending plays a lot, their opponents are often at their mercy. The wide receiving group has been downright scary all year long. But there is one other guy that helps make this team as dangerous as they are. In the offseason, running back DeAngelo Williams was deciding where he wanted to play. He was no longer with the Carolina Panthers and wanted to go somewhere that he had a chance of winning. 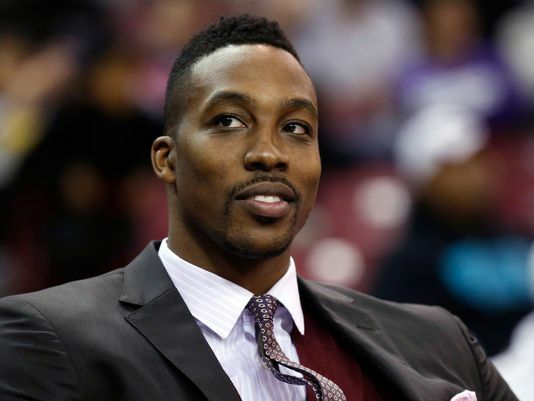 The place he chose was Pittsburgh, as he agreed to a two-year deal worth $4 million. It was thought that he would get some playing time in his first two games due to Le’Veon Bell being suspended for the first two games. Williams performed well in those first two games, averaging over 100 yards rushing in those two performances while scoring a total of three touchdowns. But when Bell was back, it was expected that he would go back to his backup role. But when Bell went down for the season on November 1st against the Bengals, Williams resumed the role as the starter. And it seems the Steelers have not even missed a beat. Williams has been the biggest bargain in football this season, giving the Steelers 899 yards rushing and scoring 11 touchdowns. Not bad for a guy that was not expected to have this much of the workload this season. He was injured against the Browns in the season finale, but it is expected that he will play in the Wildcard round of the playoffs. His running gives the Steelers offensive balance and makes defenses have to play the Steelers honest. And just like Le’Veon Bell, he can also be effective in the passing game, where he averaged 9.3 yards per reception and totaled 354 yards. The Steelers’ offense is one of the most explosive in the league. And they will have to be on top of their game to make up for their defense, which has not been as tough as they usually are (ranked 22nd overall and 30th against the pass). If the Steelers’ defense is able to get at least three or four stops a game in the playoffs, then they will be in the driver’s seat and the pressure will shift to the opponent’s offense. And in the playoffs with the pressure picked up, the battle-tested Steelers have some players that have been to there before. The team no one wanted to see in the playoffs has made it. And with that, the Steelers are the most dangerous team in the playoffs. The NFL has had a lot of inconsistencies this season. One week a team can look like a contender and the next week they look like they don’t even belong in the playoffs. But there have been five teams that have escaped unscathed so far despite the ebb and flow of the NFL. Those teams are the Carolina Panthers, Cincinnati Bengals, Denver Broncos, Green Bay Packers and New England Patriots. All five teams have managed to take care of business despite sometimes being in tough situations. All of these teams will more than likely not go undefeated, but which of them is the stronger team of the undefeated? Let’s take a second to rank each undefeated team. Let’s start with number five. The Denver Broncos are undefeated this season and it has become a usual feeling to see them doing well. Defensively, the Broncos are scary good with two lockdown corners, two incredible pass rushers and a linebacker crew that underrated. Offensively, the Broncos are making a transition to Gary Kubiak’s offense and that has been painful to watch at times. But even with that, they have found a way to make it happen when it matters the most. 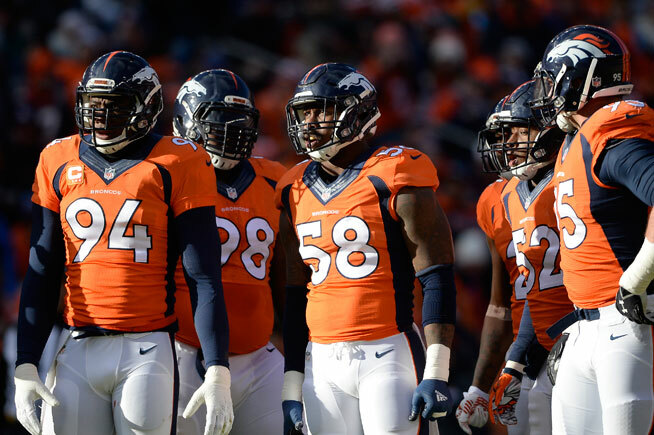 The Broncos have employed the Orange Crush and some think they will get better as the weeks go on. But there has to be some concern about Peyton Manning and the offense. Manning has made big throws when his team needs them, but he has also made some inexplicable mistakes unbecoming of Manning. And as the season goes on, it gets cold in Denver. And we all know that Peyton is not the best performer when it gets cold. Couple that with the Denver running game still trying to get it figured out and that could mean some issues for the Broncos come playoff time. If indeed this is Peyton’s last season, he will need to pick it up if he wants to end it on a high note. For now, they have to be the last-ranked undefeated team in this grouping. The Panthers have started 5-0 for the first time in their franchise history. Defensively, the Panthers survived the loss of superstar linebacker for three games and did not miss a beat. Defensive back Josh Norman has been spectacular in coverage for them in a contract season. 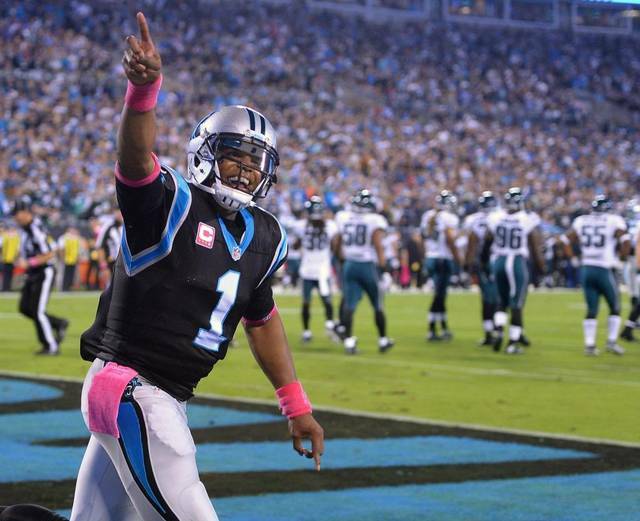 And offensively, Cam Newton is making the plays for his team to win games every single week. They are playing very well on both sides of the ball, but the offensive limitations for the Panthers could hurt them. The loss of wide receiver Kelvin Benjamin to a knee injury before the season was a huge blow to the Panthers offense. With him gone, the only weapon in the passing game that scares teams is tight end Greg Olsen. The veteran tight end has been excellent despite receiving extra attention from defenses. That may be something they can get away with in the regular season. But in the postseason, the Panthers will need someone to step up. Rookie wide receiver Devin Funchess has all the tools to step up and be that other target Cam needs, but he has been inconsistent catching the football. Other than the Panthers passing game, all other aspects on offense and defense are solid. It will be interesting to see how they grow throughout the rest of the season. The Bengals have come out with some fire this season. 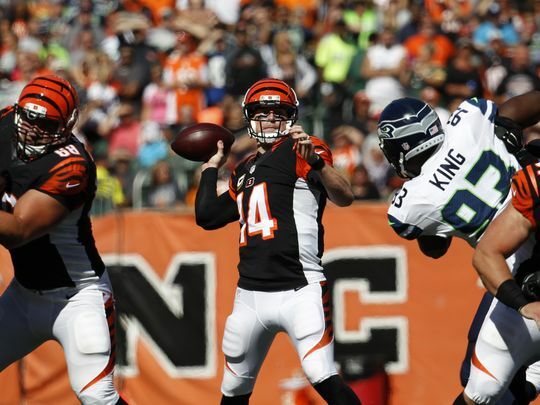 Quarterback Andy Dalton is playing like he has something to prove this season. And to go along with the offense, the Bengals are also holding their own defensively. The most impressive moment of the season for them had to be the comeback in the fourth quarter against the Seattle Seahawks. And the thing that is interesting about this team is they are not dependent on AJ Green to have big games every week. It is hard to find holes in this team with the way they are playing. But like all teams, there is something they are missing. The Bengals have given up the second-most points of the undefeated teams. In the past, it was very hard to make it happen versus Cincinnati. This year teams have been finding a little bit more success. The Bengals defense is talented, but they have to make sure and tighten it up as the season goes on. Offensively, running back Jeremy Hill has been struggling to get going. The Bengals are surviving without him producing a lot, but they will need him to get going in December and January to fulfill their championship aspirations and win that first game for the combo of Dalton and head coach Marvin Lewis. Time will tell if they can get these issues resolved. But this team has some work to do. Green Bay has come out this year just as impressive as they ended the season (despite the loss in the NFC Championship game). The defense has been better at all levels, led by linebacker Clay Matthews and his versatile play. 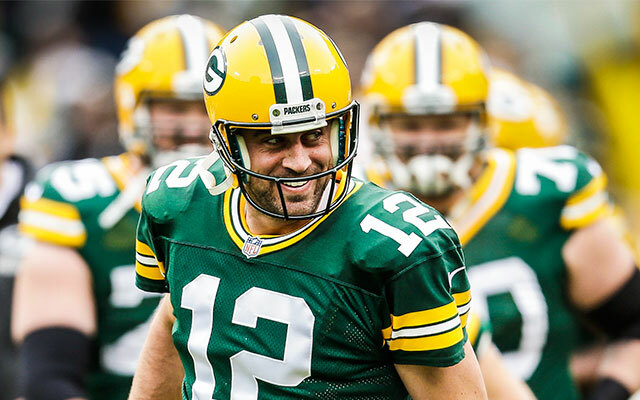 And offensively, Aaron Rodgers is again playing like a MVP. Even with the loss of one of his best wide receivers, he still is making it happen and the Packers are still over 27 points per game. But even with all the great things, there are some things they need to work on. One noticeable thing is the offensive line. Too many times, Rodgers has had to be creative and avoid the rush. Some of that can be attributed to the pressure that comes. But other parts of that are linked to protection breakdowns. The Packers may face some issues if they don’t get that taken care of come playoff time even though Rodgers is their quarterback. Another issue offensively is health at the wide receiver position. They lost Jordy Nelson in the preseason for the year and many of their receivers have been dinged up. Rodgers makes it happen still in spite of that, but you need your best wide receivers on the field when the time comes to make a run. But even with these issues, the Packers have been able to look great this season. However, in order to win the title they must work to shore up those weaknesses. 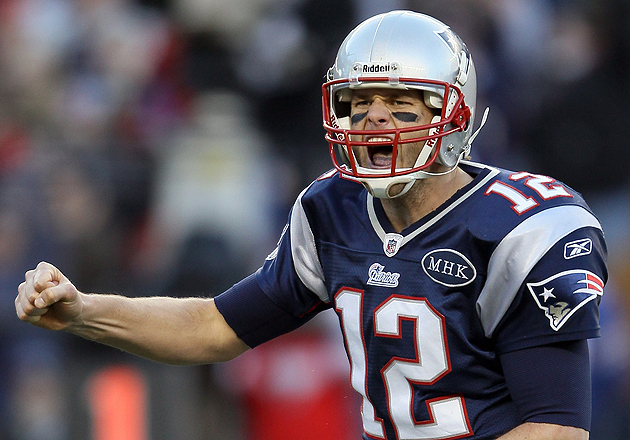 The New England Patriots have come out like a team possessed. They have scored the most points of any team in the NFL and they have been very solid defensively in each and every win. Some would say they are primed for a great run at repeating as champions. With Gronk in a groove catching the ball, Danny Amendola and Julian Edelman running their short routes to perfection and the rotation of running backs playing well, there is no reason to think this offense will slow down anytime soon. Add to it the fuel that Tom Brady is playing with (Deflategate) and it looks like the defending champs are out to make a statement. But defensively, there lies one issue. The Patriots did not want to pay their starting cornerbacks from last season, Darrelle Revis and Brandon Browner. As a result, Super Bowl hero Malcolm Butler and Logan Ryan have been holding it down at the cornerback spots. Both have been doing their best, but they are not the best set of corners. In the playoffs, expect these two to be attacked and that could harm them. But with the offense they have and the defensive mind in Belichick pulling the strings defensively with defensive coordinator Matt Patricia, they can cover them up with the pressure they bring and the disguises they make. Overall, it looks like the championship is theirs to lose. These ranking could change as time goes on, but the Patriots are handling business. Each one of these teams has a great shot at making the championship game, but there are some things that both have to sure up or learn how to hide well. Whatever team does so will have the best chance at winning the trophy. It shall be interesting to see what the rest of the season holds for these five.